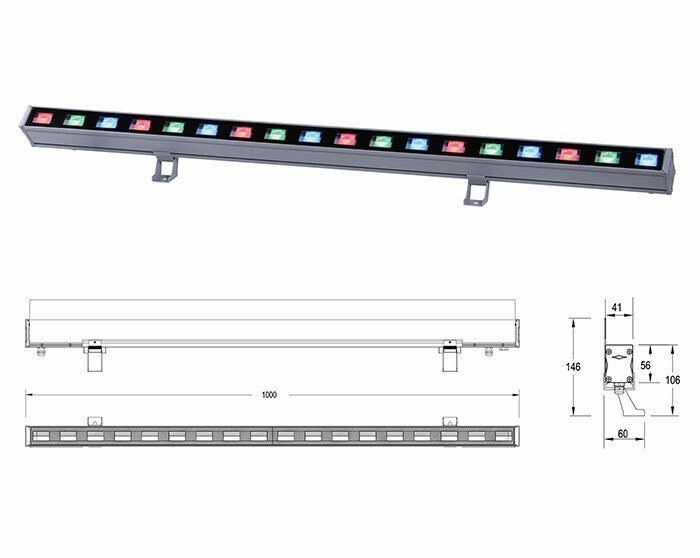 The LED wall washers are basically high power light emitting diodes that provide uniform light and aim to draw attention to a particular area. 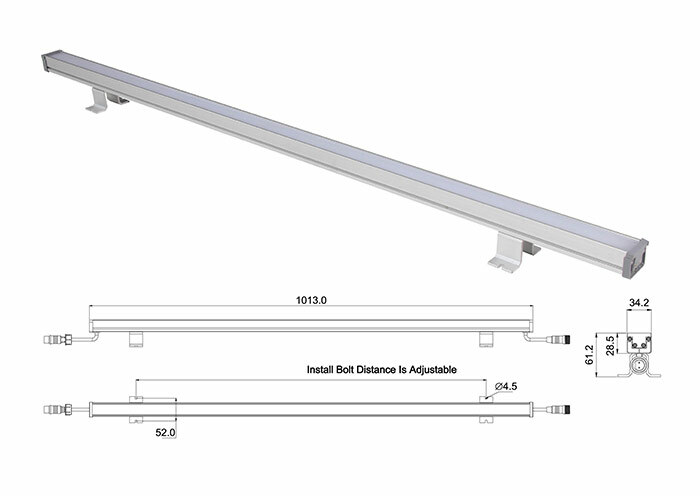 In other words, the purpose of these wall washers is to put emphasis on various structures and textures – these systems come with various optics designed to enhance the architectural design of various applications. 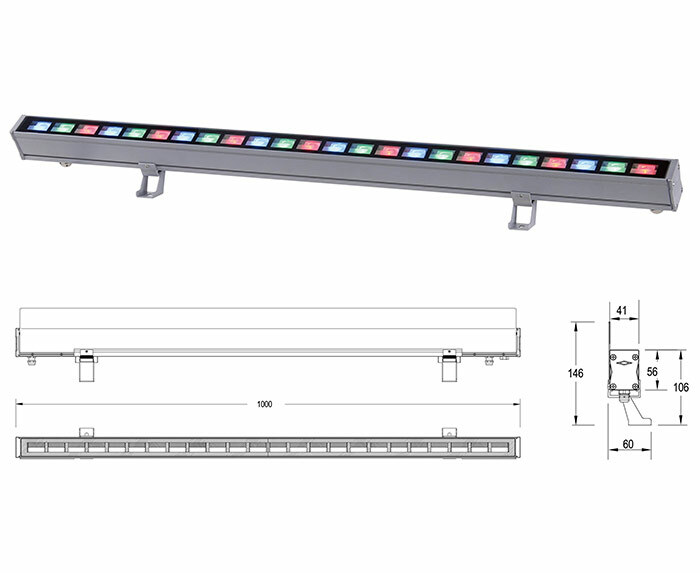 One of the most important aspects regarding LED wall washers is that they can easily change their color while projecting – a multi-color wall washer can contain millions of diodes that project different lights and levels of brightness. 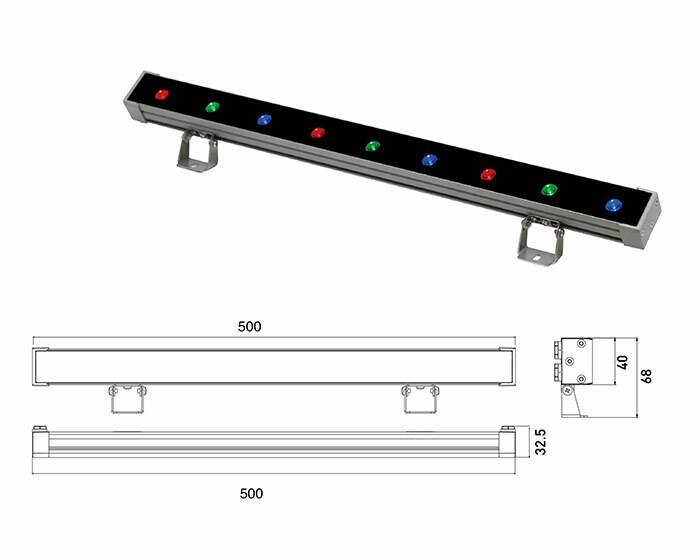 The wall washers can be easily programmed to change their color, and there are several different types of them: for instance, there are multi-row LED wall washers, round devices, square or linear wall washers and so forth. 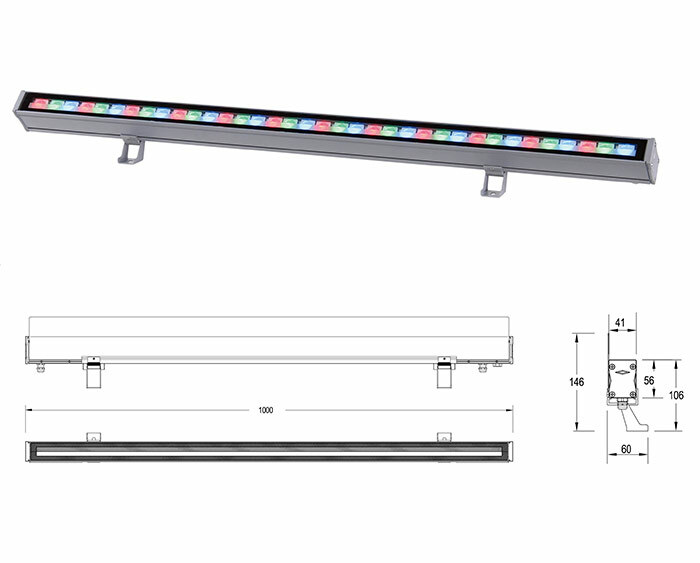 LED wall washers contain inner chips that allow them to obtain a more dynamic lighting effect, such as flashing. 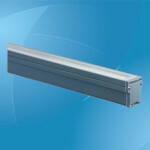 The driving power varies based on the type of wall washer, and it can range anywhere between 12v and 220v – the most suitable working voltage can be adjusted based on the working situation. 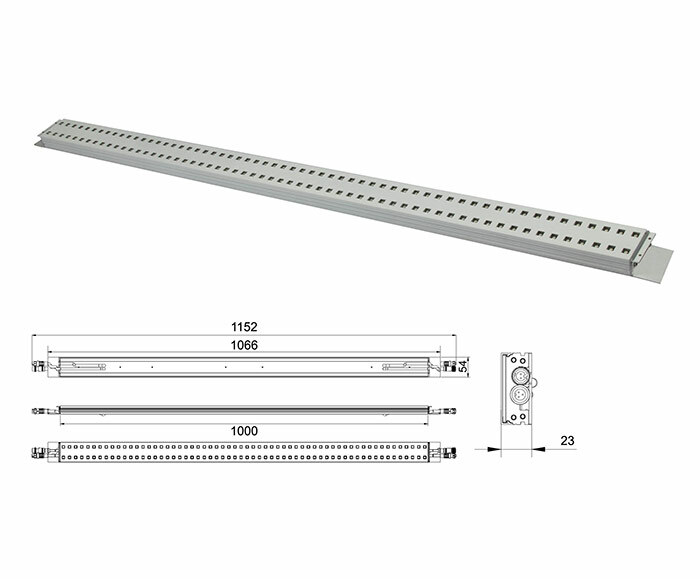 These wall washers are ideal both for indoor and outdoor use, although the outdoor temperature should not be lower than -40 degrees Celsius or higher than 50 degrees Celsius, otherwise the lighting system may start to malfunction. 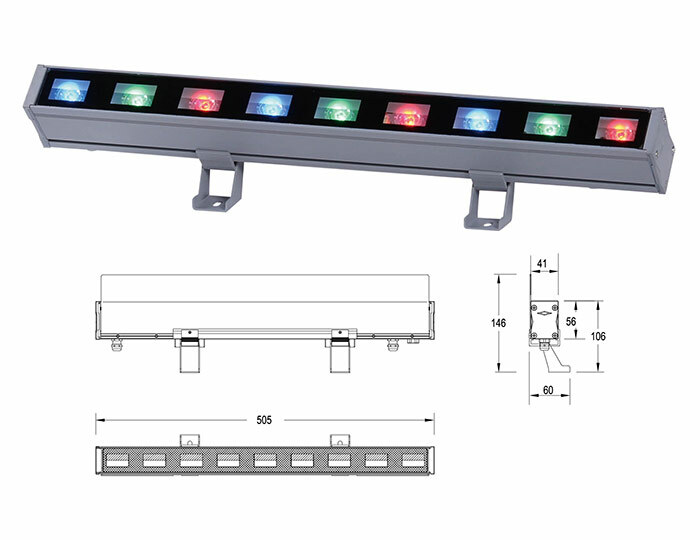 The LED wall washers are dust proof and waterproof, and most systems use high power light emitting diodes due to their convenient price-quality relationship. Due to their complex nature, LED wall washers are used to light buildings for decoration purposes, to light and highlight walls, clubs, stages, parks, hotels, art galleries, landscape lighting, advertisement board lighting or the facades of museums and various commercial buildings. 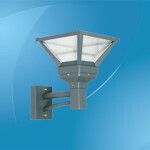 Generally speaking, this lighting systems is widely used in clubs and hotel rooms because they provide an intimate, discrete light that is cost-efficient and eco-friendly. 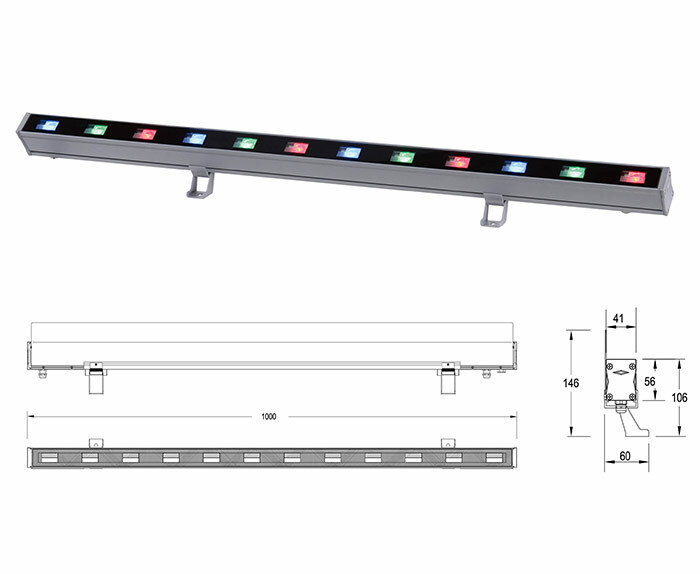 The LED wall washers are made from various materials, based on the application: the most common materials are waterproof aluminum allow and toughened glass. 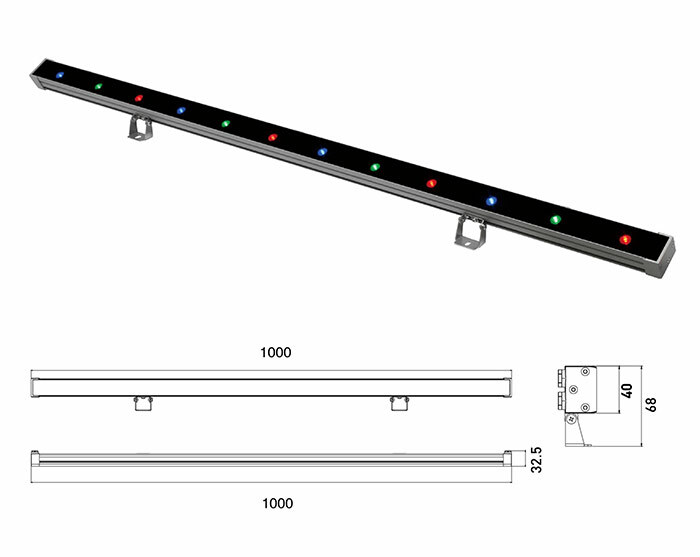 The lighting source is the 1w high power light emitting diode, and the wall washers are available in monochrome or RGB color range (red, green and blue). 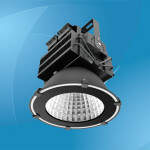 The projection distance varies based on the lighting source: if typical LED are being used, then the average projection distance is 12 meters. 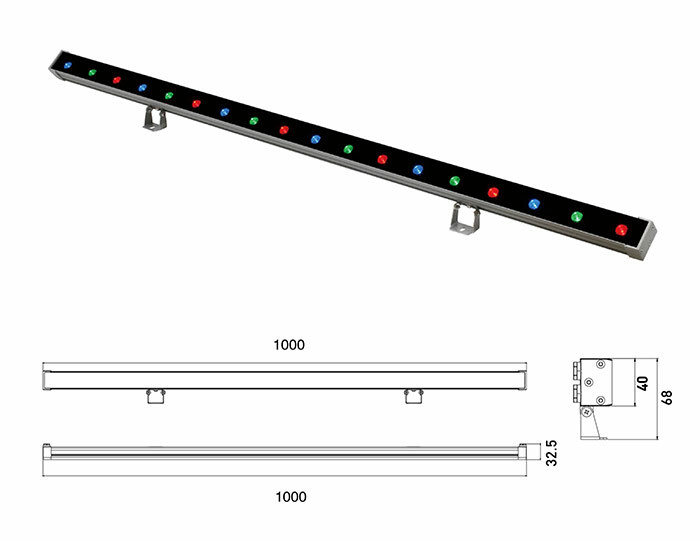 On the other hand, if the system uses high power LEDs then the projection distance is 50 meters or more. 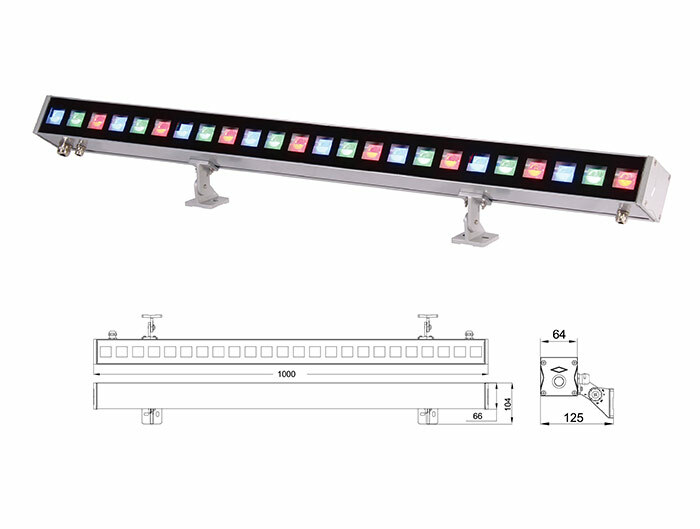 Moreover, the lifespan of LED wall washers is over 100,000 hours, which makes them very durable and reliable in the long haul. 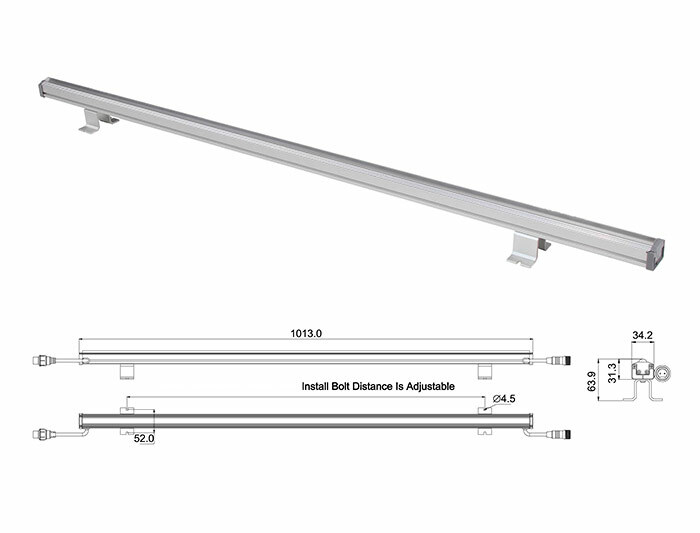 There are three major optics for three different applications: wall washing, wall grazing and cove lighting. 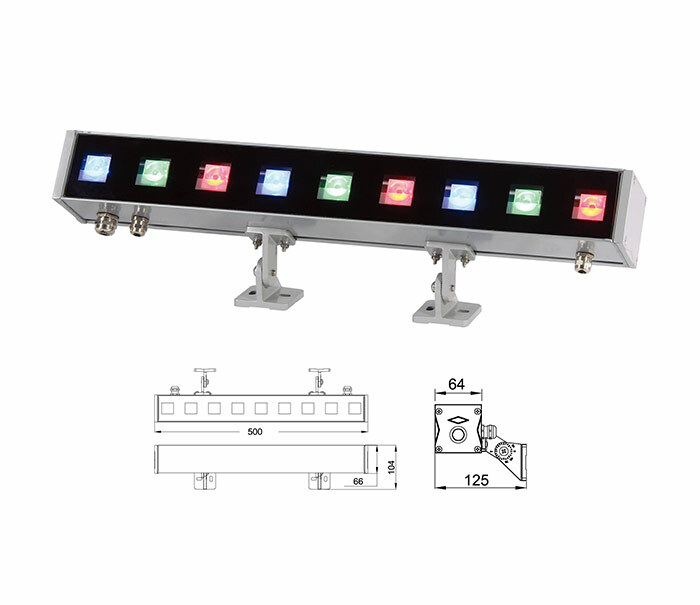 The LED wall washing lights come with adjustable mounting systems for precise fixture angle. 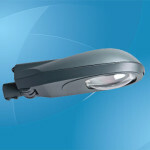 The lighting system is slightly dimmable and there are no socket shadows whatsoever, thanks to the exact use of light output (unlike it happens with fluorescent fixtures where socket shadows are very common. 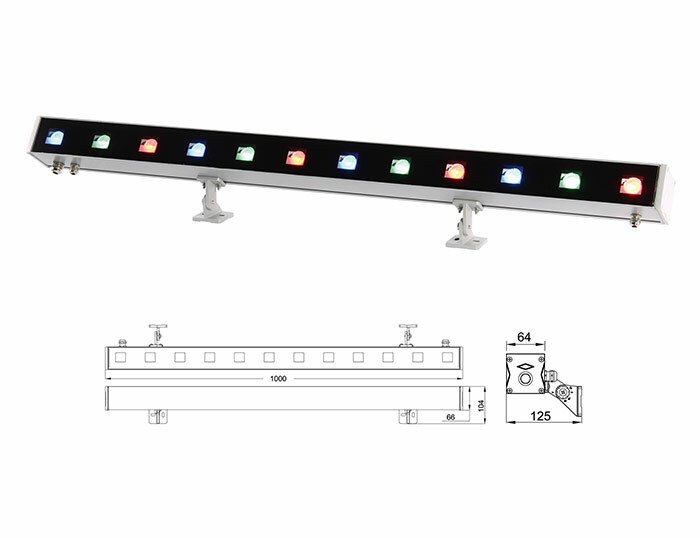 The color temperatures usually range between 2700K and 4000K, and the wall washing systems can come with continuous lighting effects. 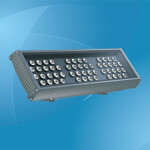 Power: 286W; Input voltage: AC 100-277V; Frequency: 50-60Hz; Power factor: >0.90; Light sources: High brightness single color/34R, 36G, 36B, 20W LEDs, 126 pieces; Luminous flux: 19417/11095 lm; CRI (Ra>): 70; Beam angle: 10°/25°/40°/60°; Control mode: CC/DMX512; Weatherproof rating: IP66; Working temperature: -35-+50°C, Relative humidity: 10-90%. 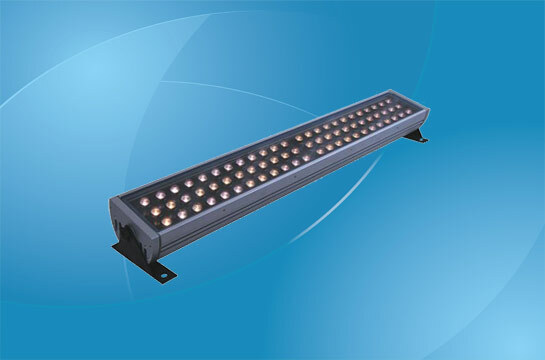 Power: 580W; Input voltage: AC 100-277V; Frequency: 50-60Hz; Power factor: >0.90; Light sources: High brightness single color/68R, 72G, 72B, 40W LEDs, 252 pieces; Luminous flux: 38834/22190 lm; CRI (Ra>): 70; Beam angle: 10°/25°/40°/60°; Control mode: CC/DMX512; Weatherproof rating: IP66; Working temperature: -35-+50°C, Relative humidity: 10-90%. 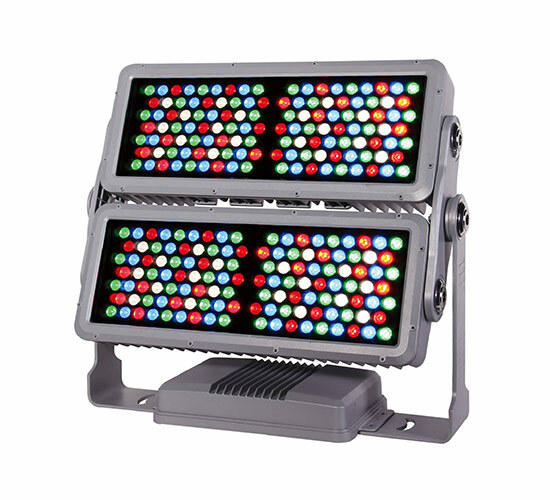 Power: 86W/76W; Input voltage: AC 100-277V; Frequency: 50-60Hz; Power factor: >0.90; Total harmonic distortion (THD): <15%; Light sources: High brightness single color/RGB LEDs, 72 pieces; Luminous flux: 6652/2981 lm; CRI (Ra>): 70; Beam angle: 10°/25°/40°/60°; Installation holes: Φ12mm*100mm; Weatherproof rating: IP65; Working temperature: -35-+50°C, Relative humidity: 10-90%. 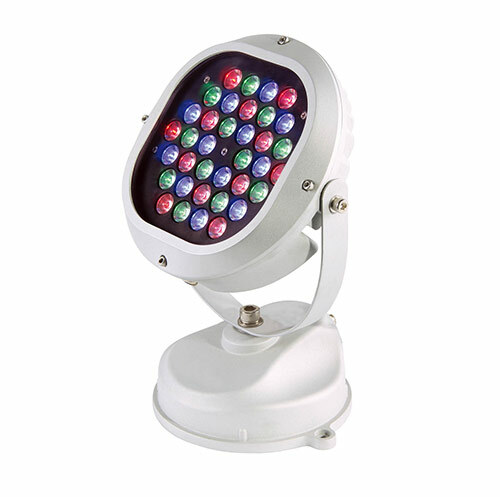 Power: 23W; Input voltage: AC 100-277V; Frequency: 50-60Hz; Power factor: >0.90; Light sources: High brightness single color/RGB LEDs, 18 pieces; Luminous flux: 1687/871 lm; CRI (Ra>): 70; Beam angle: 10°/25°/40°/60°; Control mode: CC/DMX512; Weatherproof rating: IP65; Working temperature: -35-+50°C, Relative humidity: 10-90%. 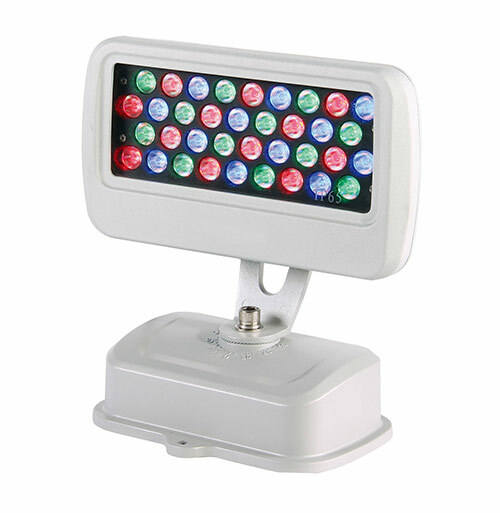 Power: 45W; Input voltage: AC 100-277V; Frequency: 50-60Hz; Power factor: >0.90; Light sources: High brightness single color/RGB LEDs, 36 pieces; Luminous flux: 3272/1649 lm; CRI (Ra>): 70; Beam angle: 10°/25°/40°/60°; Control mode: CC/DMX512; Weatherproof rating: IP65; Working temperature: -35-+50°C, Relative humidity: 10-90%. 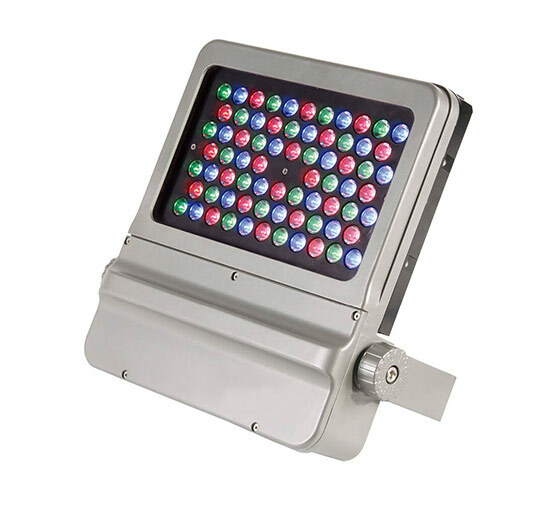 Power: 54W; Input voltage: AC 100-277V; Frequency: 50-60Hz; Power factor: >0.90; Light sources: High brightness single color/RGB LEDs, 54 pieces; Luminous flux: 4968/2457 lm; CRI (Ra>): 70; Beam angle: 10°/25°/40°/60°; Control mode: CC/DMX512; Weatherproof rating: IP65; Working temperature: -35-+50°C, Relative humidity: 10-90%. 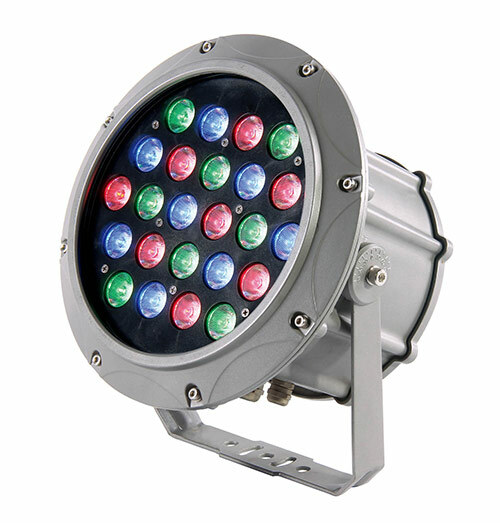 Power: 29.8W/28.2W; Input voltage: AC 100-277V; Frequency: 50-60Hz; Power factor: >0.90; Light sources: High brightness single color/RGB LEDs, 24 pieces; Luminous flux: 1951/1057 lm; CRI (Ra>): 70; Beam angle: 10°/25°/40°/60°; Control mode: CC/DMX512; Installation holes: Φ8.5mm*60mm; Weatherproof rating: IP66; Working temperature: -35-+50°C, Relative humidity: 10-90%. 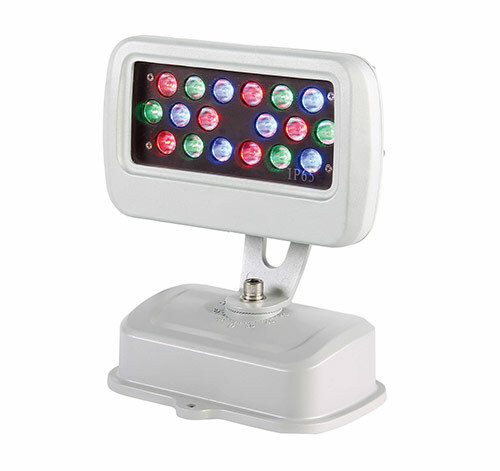 Power: 10W; Input voltage: DC 24V; Light sources: High brightness white/3R, 3G, 3B LEDs, 9 pieces; Luminous flux: 870/497 lm; Beam angle: 25°/40°/60°/80°/30x65°; Control mode: CC/DMX512; Length: 50cm (20 inches); Weatherproof rating: IP66; Working temperature: -35-+50°C, Relative humidity: 10-90%. Power: 10W; Input voltage: DC 24V; Light sources: High brightness white/3R, 3G, 3B LEDs, 9 pieces; Luminous flux: 870/497 lm; Beam angle: 10°/25°/40°/60°/10x50°; Control mode: CC/DMX512; Length: 100cm (40 inches); Weatherproof rating: IP66; Working temperature: -35-+50°C, Relative humidity: 10-90%. Power: 24W; Input voltage: AC 100-277V / DC 24V; Light sources: High brightness white/3R, 3G, 3B LEDs, 9 pieces; Luminous flux: 1505/845 lm; Beam angle: 10°/25°/40°/60°/10x50°; Control mode: CC/DMX512; Length: 50cm (20 inches); Weatherproof rating: IP66; Working temperature: -35-+50°C, Relative humidity: 10-90%. Power: 12W; Input voltage: DC 24V; Light sources: SMD5050, white/RGB LEDs, 48 pieces; Beam angle: 120°/15x80°; Control mode: CC/DMX512; Length: 101.3cm (40 inches); Weatherproof rating: IP66; Working temperature: -25-+50°C, Relative humidity: 10-90%. Power: 14W; Input voltage: DC 24V; Light sources: High brightness white/4R, 4G, 4B LEDs, 12 pieces; Luminous flux: 1160/660 lm; Beam angle: 25°/40°/60°/80°/30x65°; Control mode: CC/DMX512; Length: 100cm (40 inches); Weatherproof rating: IP66; Working temperature: -35-+50°C, Relative humidity: 10-90%. Power: 14W; Input voltage: DC 24V; Light sources: High brightness white/4R, 4G, 4B LEDs, 12 pieces; Luminous flux: 1160/660 lm; Beam angle: 10°/25°/40°/60°/10x50°; Control mode: CC/DMX512; Length: 100cm (40 inches); Weatherproof rating: IP66; Working temperature: -35-+50°C, Relative humidity: 10-90%. Power: 20W; Input voltage: DC 24V; Light sources: High brightness white/6R, 6G, 6B LEDs, 18 pieces; Luminous flux: 1722/990 lm; Beam angle: 25°/40°/60°/80°/30x65°; Control mode: CC/DMX512; Length: 100cm (40 inches); Weatherproof rating: IP66; Working temperature: -35-+50°C, Relative humidity: 10-90%. Power: 20W; Input voltage: DC 24V; Light sources: High brightness white/6R, 6G, 6B LEDs, 18 pieces; Luminous flux: 1722/990 lm; Beam angle: 10°/25°/40°/60°/10x50°; Control mode: CC/DMX512; Length: 100cm (40 inches); Weatherproof rating: IP66; Working temperature: -35-+50°C, Relative humidity: 10-90%. 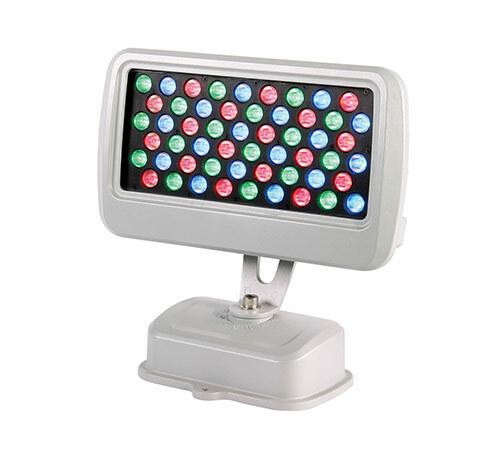 Power: 24W; Input voltage: DC 24V; Light sources: SMD5050, white/RGB LEDs, 120 pieces; Beam angle: 120°/165°; Control mode: CC/DMX512; Length: 106.6cm; Weatherproof rating: IP66; Working temperature: -25-+50°C, Relative humidity: 10-90%. 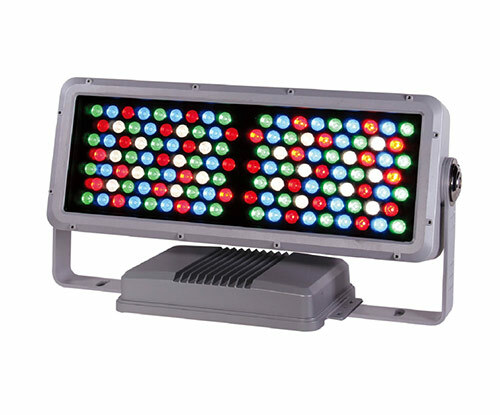 Power: 24W; Input voltage: DC 24V; Light sources: SMD5050, white/RGB LEDs, 48 pieces; Beam angle: 120°/165°; Control mode: CC/DMX512; Length: 100.8cm; Weatherproof rating: IP66; Working temperature: -25-+50°C, Relative humidity: 10-90%. Power: 27W; Input voltage: DC 24V; Light sources: High brightness white/8R, 8G, 8B LEDs, 24 pieces; Luminous flux: 2295/1320 lm; Beam angle: 25°/40°/60°/80°/30x65°; Control mode: CC/DMX512; Length: 100cm (40 inches); Weatherproof rating: IP66; Working temperature: -35-+50°C, Relative humidity: 10-90%. Power: 27W; Input voltage: DC 24V; Light sources: High brightness white/8R, 8G, 8B LEDs, 24pieces; Luminous flux: 2295/1320 lm; Beam angle: 10°/25°/40°/60°/10x50°; Control mode: CC/DMX512; Length: 100cm (40 inches); Weatherproof rating: IP66; Working temperature: -35-+50°C, Relative humidity: 10-90%. Power: 31W; Input voltage: AC 100-277V / DC 24V; Light sources: High brightness white/4R, 4G, 4B LEDs, 12 pieces; Luminous flux: 2005/1122 lm; Beam angle: 10°/25°/40°/60°/10x50°; Control mode: CC/DMX512; Length: 100cm (40 inches); Weatherproof rating: IP66; Working temperature: -35-+50°C, Relative humidity: 10-90%. 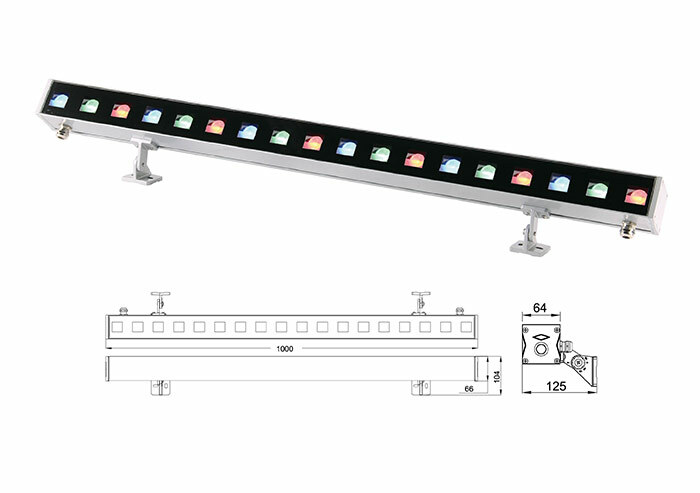 Power: 38W; Input voltage: DC 24V; Light sources: High brightness white/12R, 12G, 12B LEDs, 36 pieces; Luminous flux: 3444/1981 lm; Beam angle: 10°/25°/40°/60°/10x50°; Control mode: CC/DMX512; Length: 100cm (40 inches); Weatherproof rating: IP66; Working temperature: -35-+50°C, Relative humidity: 10-90%. 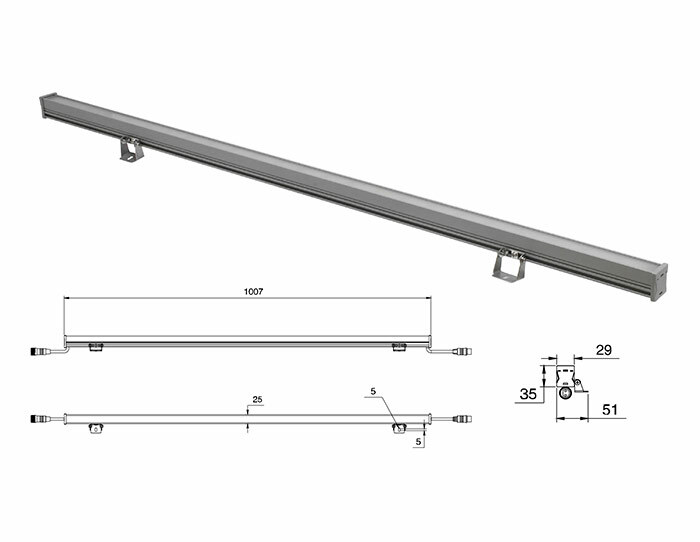 Power: 4.8W; Input voltage: DC 24V; Light sources: SMD5050, white/RGB LEDs, 24 pieces; Beam angle: 120°/15x80°; Control mode: CC/DMX512; Length: 100.7cm (40 inches); Weatherproof rating: IP66; Working temperature: -25-+50°C, Relative humidity: 10-90%. 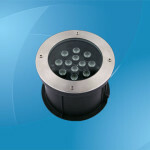 Power: 46W; Input voltage: AC 100-277V / DC 24V; Light sources: High brightness white/6R, 6G, 6B LEDs, 18 pieces; Luminous flux: 3008/1683 lm; Beam angle: 10°/25°/40°/60°/10x50°; Control mode: CC/DMX512; Length: 100cm (40 inches); Weatherproof rating: IP66; Working temperature: -35-+50°C, Relative humidity: 10-90%. 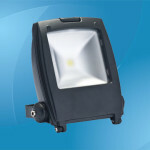 Power: 60W; Input voltage: AC 100-277V / DC 24V; Light sources: High brightness white/8R, 8G, 8B LEDs, 24 pieces; Luminous flux: 4001/2244 lm; Beam angle: 10°/25°/40°/60°/10x50°; Control mode: CC/DMX512; Length: 50.5cm (20 inches); Weatherproof rating: IP66; Working temperature: -35-+50°C, Relative humidity: 10-90%. 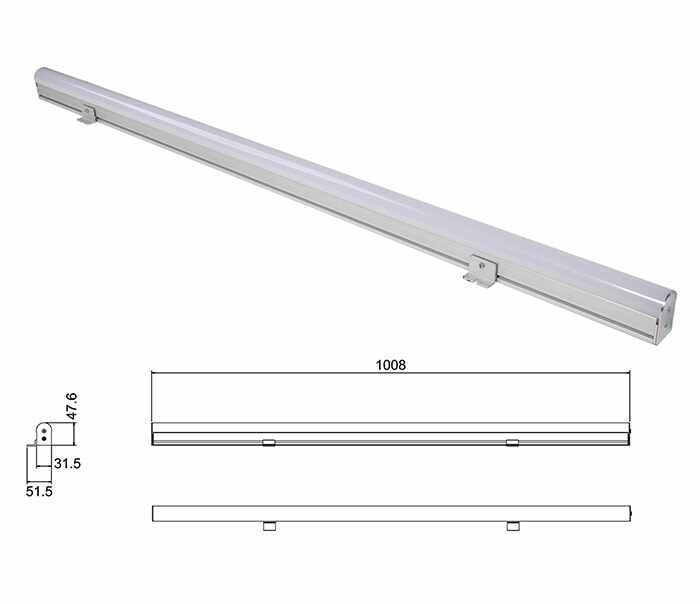 Power: 6W; Input voltage: DC 24V; Light sources: SMD5050, white/RGB LEDs, 24 pieces; Beam angle: 120°/15x80°; Control mode: CC/DMX512; Length: 101.3cm (40 inches); Weatherproof rating: IP66; Working temperature: -25-+50°C, Relative humidity: 10-90%. 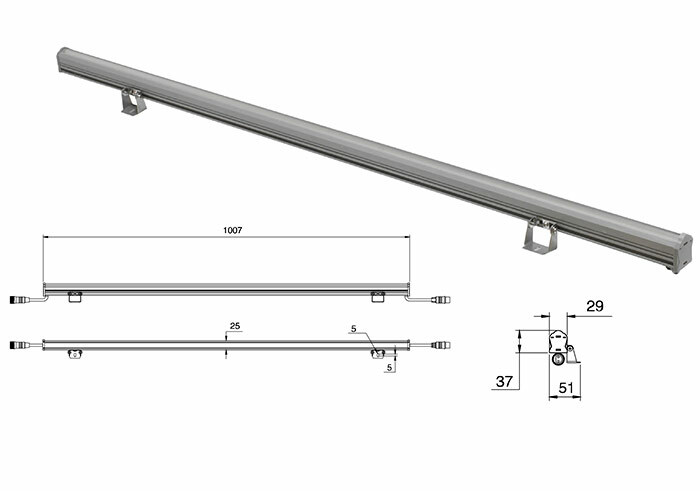 Power: 9.6W; Input voltage: DC 24V; Light sources: SMD5050, white/RGB LEDs, 48 pieces; Beam angle: 120°/15x80°; Control mode: CC/DMX512; Length: 100.7 cm (40 inches); Weatherproof rating: IP66; Working temperature: -25-+50°C, Relative humidity: 10-90%.